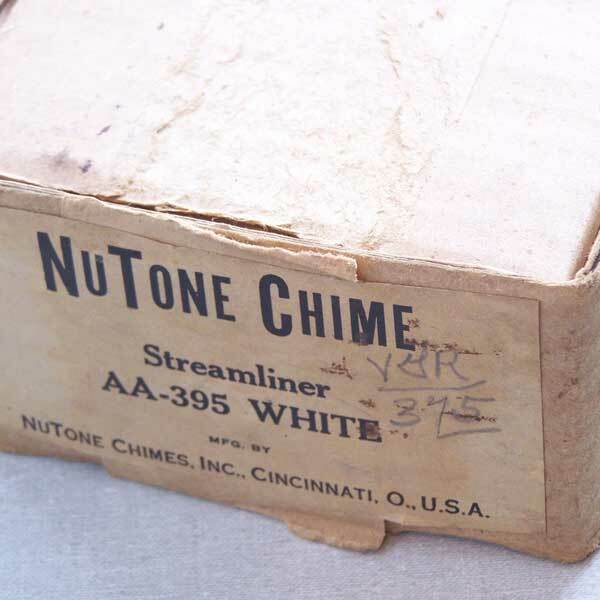 This is a NuTone Streamliner Catalog number AA-395. 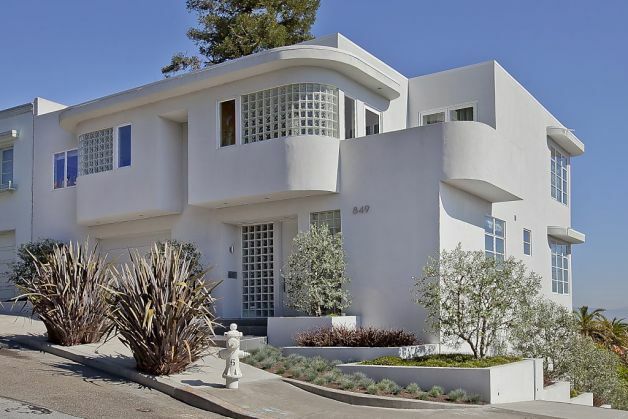 The Streamline Moderne movement was inspired by trains and airplanes and automobiles of the day which incorporated reduced air resistance in their design. 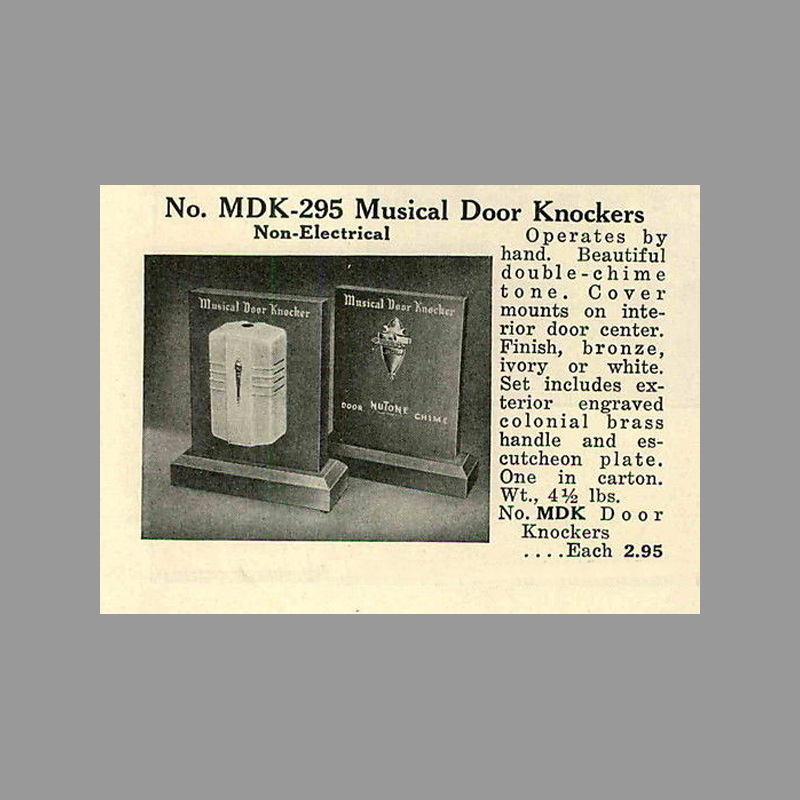 Wind velocity is of only minor importance to doorbells which are almost always shielded from the elements. 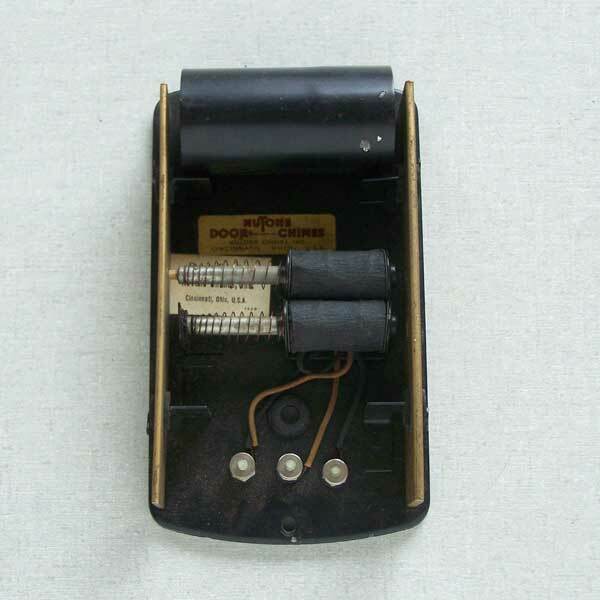 The Streamliner cover was used on a NuTone mechanical chime, the MDK-295. 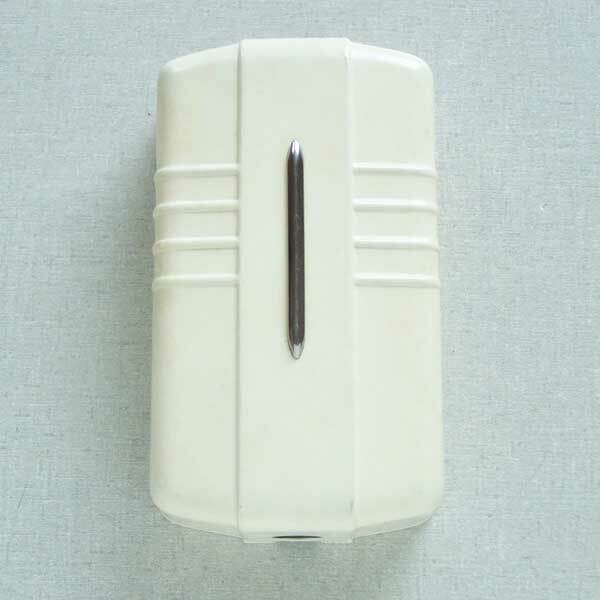 Industrial designers reflect fashion, as demonstrated in this thoroughly modern and never used NuTone Streamliner in white. Materials Stamped steel, Chrome Ornament. 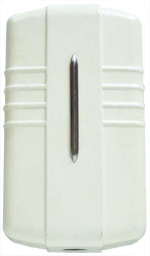 Iron tone bars. Wood wood striker. 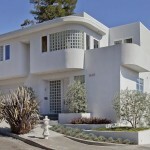 It isn’t hard to imagine a Nutone Streamline Doorbell on the kitchen wall of this San Francisco home.